Bjarne Sivertsen has more than 40 years of experience in air pollution monitoring, modelling and data presentation. He has designed and operated air quality monitoring programme and developed air quality management planning systems in a number of countries around the world. He is also a well-known lecturer on air pollution management. His background is dispersion meteorology, boundary layer turbulence and dispersion, emission inventories numerical modelling, monitoring programme design and air quality assessment and planning. Some of the many projects that he has been responsible for internationally involved environmental impact analyses, use of meteorological data, dispersion analyses, and state of the environment reports. Air quality planning including optimal abatement strategies, impact assessment analyses, and air pollution screening studies were also topics in many projects. Among the many projects and tasks undertaken Bjarne Sivertsen designed and developed the national air quality monitoring programme for EEAA in Egypt. The air quality management programme (AQMP) for HCMC Vietnam. He is presently working on the AQMP development in Bangladesh. 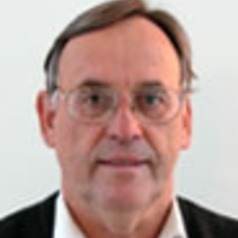 Bjarne Sivertsen has long experience in work within and with Developing countries, expert in co-ordinating and handling interdisciplinary projects. He has also developed training programmes on air quality in Europe, Africa, South America and in Asia. He has worked in Egypt, Kuwait, United Arab Emirates, Venezuela, Southern Africa, Botswana, Zambia, Jordan, Saudi Arabia, India, Bangladesh, China and Vietnam, and has visited for project proposals Thailand, Chile and Mexico.